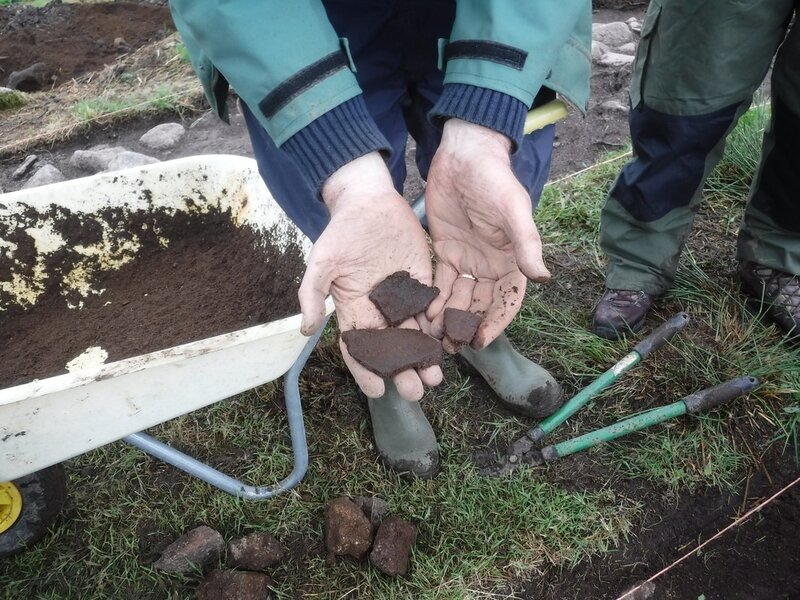 Potsherd - probably Iron Age - found just outside the house, and plenty of it. Drs Andy and Anna Jones train newcomer Milo Hart. 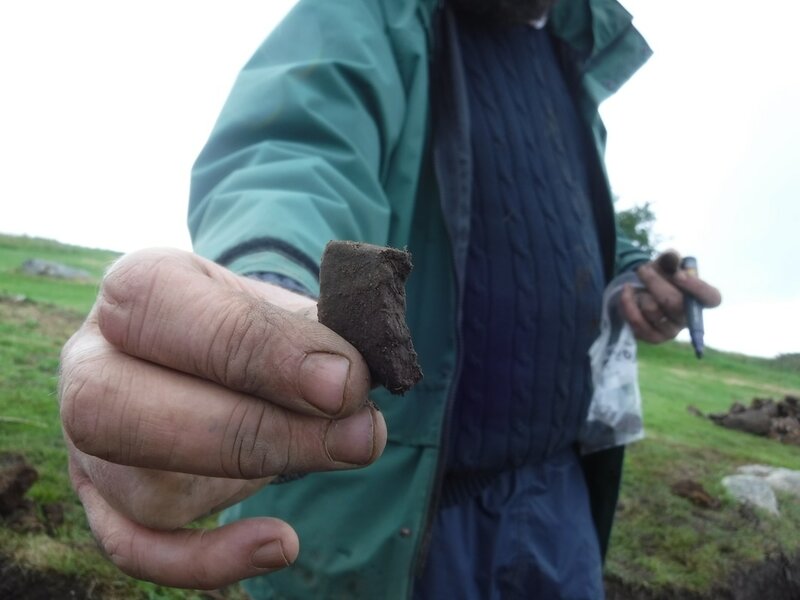 ​And click here for John finding a new potsherd.